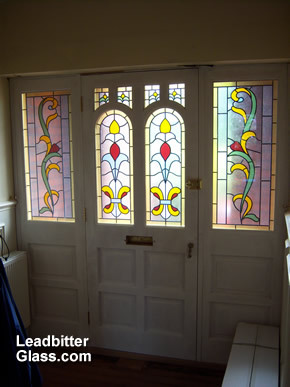 Leadbitter Glass manufactures many different forms of decorative glass such as Etched Glass, Bevelled Glass, Overlay Stained Glass and Fused Glass. 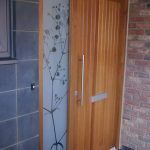 Our glass can be used to compliment homes and businesses throughout the UK. 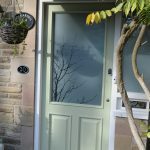 Our Decorative Glass can be used to compliment your windows, doors, kitchen cabinets, partitions, shower screens or anywhere else that you have a flat glazed panel in your house or place of work. Although the majority of our glass is ordered by customers for their homes, we have designed and supplied Decorative Glass for dozens of commercial projects since 1994. Decorative Overlay Stained Glass domes are a popular glass style for large European hotels and as with all orders placed with Leadbitter Glass, we can provide a scaled proof of the whole project before the first piece of glass is cut. Glass for conservatories, doors and windows are the popular requests from home owners and we have hundreds of designs suitable for these locations in our vast Decorative Glass gallery. 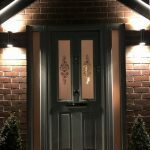 Fanlights for windows and door glass designs can be viewed in the frame colour of your choice so you can get a realistic feel as to how your glass will look when the glass is installed. 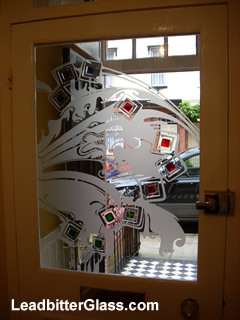 You can also browse a large gallery of some of our recent custom made windows here. 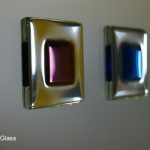 Ordering Decorative Glass couldn’t be easier! • Already have a design. 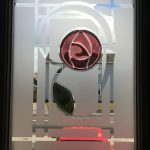 If you know exactly what you want, you can email your design to us and we can give you an exact quotation for your Decorative Glass that will include a scaled proof of exactly how your glass will look before we manufacture. • Not sure what design suits you. 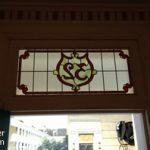 If you are unsure about the Decorative Glass design that is right for you, browse our gallery or get in touch with us and tell us your thoughts and ideas so we can work with you to find the perfect Decorative Glass design for you. We have access to thousands of designs that are not yet featured in our gallery and as the UK’s leading glass studio, we can design and create Decorative Glass from your own ideas. Once you have the right design in mind and an order is placed, we will get to work creating a computer generated image of your design. The great thing about this service is that you get to see an exact scale ‘mock-up’ of your glass complete with realistic colours and we can even add your current background image as the back-drop to the window/door design. Visit our Client Pages section to see works that are currently underway for some of our clients. 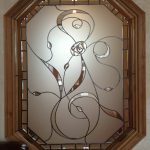 You will be able to see what types of designs other people around the country are ordering with Leadbitter Glass. 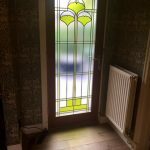 For that larger Decorative Glass project, why not take advantage of our Executive Service to receive a site visit by a Leadbitter Glass designer.